Doctor Who Magazine Issue 524 will be on sale tomorrow, Thursday 5th April 2018. Its cover should appeal to fans of Doctor Who young and old: it concerns itself with the new set of Target novels and they hold a nostalgic place in the heart of any classic era Who fan. 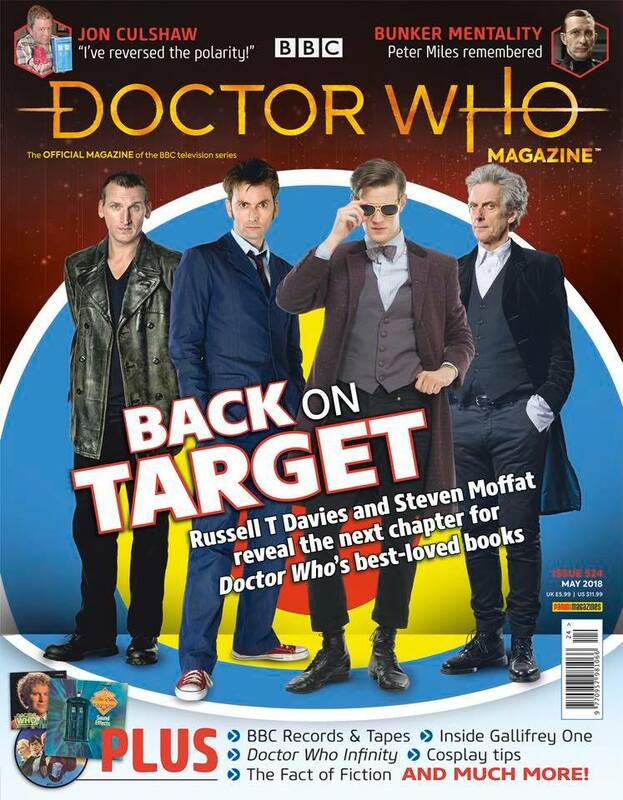 The Target novels feature novelisations of Rose, The Christmas Invasion, Day of the Doctor, Twice Upon a Time. The fifth book is named City of Death.